He had come off the bench in more than 80% of his 67 previous Turkish Airlines EuroLeague games. 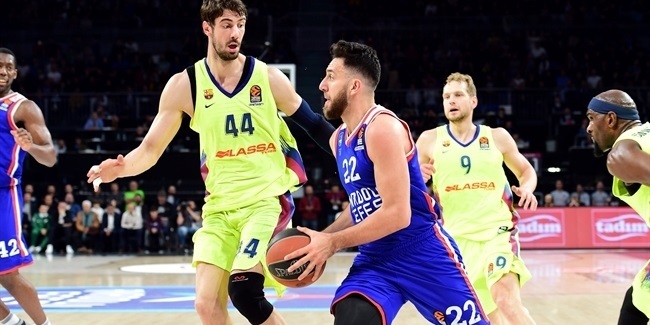 But when Vasilije Micic was called on to start throughout November for Anadolu Efes Istanbul, he rose to the occasion, leading his fourth EuroLeague club on a five-game winning streak. For his pivotal role in catapulting Efes, last season's worst team, into a share of third place after 10 rounds of this one, Micic is Euroleague Basketball's choice as MVP of November. The 24-year-old guard led his team in scoring, assists or both in all six November games, of which Efes won five and lost the other by a single point on the road. Micic would finish the month with 35 assists, more than all but two other EuroLeague players, and a performance index rating of 107, which ranked him fifth in the competition over those six games. Most importantly, Micic was on the court more than anyone as Efes completed its remarkable turnaround, making him the player to remember from the month of November. The MVP of the Month honor is now in its 15th season. Although statistics and performance index ratings are taken into consideration for the award, they alone do not determine who is honored. The winner is named by Euroleague Basketball based on his and his team's performance. The award for November covered the six regular season games that all teams played between November 1 and 30. To his credit, Micic did not hide after November started badly for him. Despite his 15 points, 7 rebounds, 5 assists and 2 steals on the road against AX Armani Exchange Olimpia Milan, he missed 2 late free throws and couldn't stop Milan's buzzer-beating three-pointer as Efes lost 80-81. 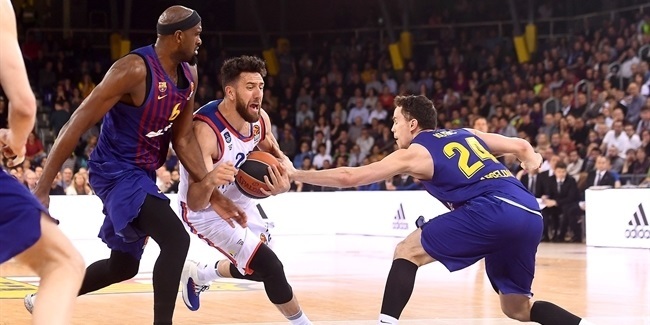 Still on the road in Round 6, Micic rebounded with 17 points, 4 assists and 2 steals as Efes beat host Herbalife Gran Canaria 94-90. Next, he had 11 points, 6 rebounds and 5 assists as Efes swamped visiting Panathinaikos OPAP Athens 78-62 in its best defensive effort this season. In Round 8, Micic scored 12 points, dished 8 assists and missed just 2 shots in a sure-handed 90-77 win over Maccabi FOX Tel Aviv. And 48 hours later, he had 9 points, 8 assists and 5 rebounds in a 88-93 decision against cross-town host Darussafaka Tekfen Istanbul. Finally, Micic put together 16 points and 6 assists as Efes downed visiting KIROLBET Baskonia Vitoria-Gasteiz 96-85 for its third double-digit win of the month. All told in November, Efes had a +48 point differential over its opponents – second-best among EuroLeague teams – and, coincidence or not, Micic's on-court plus-minus total was +48, too – sixth-best among players. 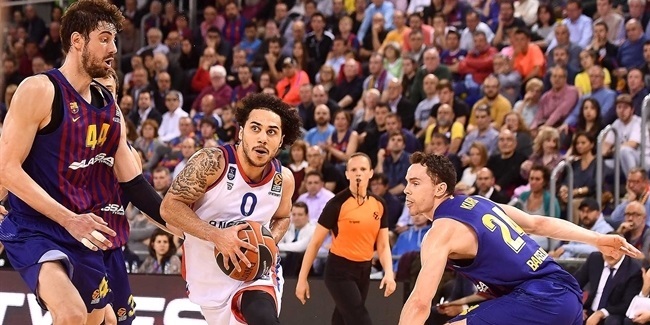 Efes had waited five years for a victory streak as long as the five games it won to finish November. And when the fifth one was complete, Efes had an 8-2 record, surpassing its victory total for all of last season. Micic finished the month having averaged team highs of 18.0 PIR and 6.0 assists, as well as the second-most points (13.3) and third-most rebounds (3.7) for Efes. It all added up to a stellar contribution for which Efes fans are sure to thank Micic for when he receives the MVP of November trophy at an upcoming EuroLeague game.